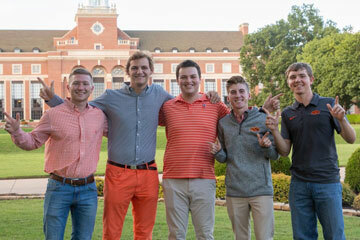 A large number of Oklahoma State University students filled a Spears School of Business auditorium March 1 to hear some of the most important advice of their young lives – how to find a job. 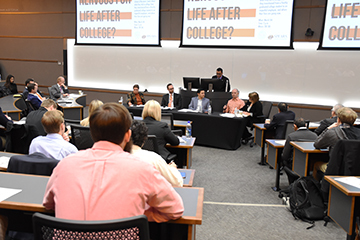 In the first Finance and Accounting Career Day, several company executives, many OSU alumni, were on hand to talk jobs with students eager for guidance. 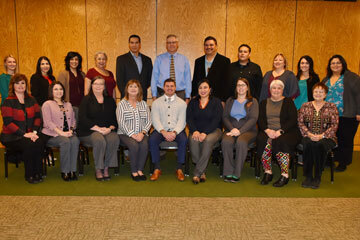 A groundbreaking pilot program recently kicked off at Oklahoma State University that will assist many of the Native American tribes throughout the state with tribal accounting and finance training. 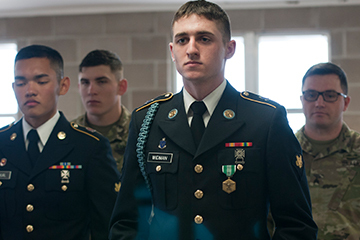 Oklahoma State University finance senior Brandon Widman was named the Oklahoma Soldier of the Year and offered a spot in the 2023 class at West Point after the Best Warrior Competitions took him to Liverpool, England. 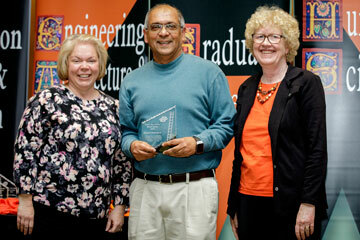 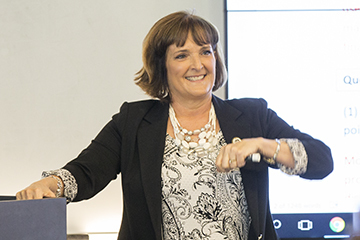 A number of Spears School of Business faculty and staff are being recognized for outstanding teaching, research and service during the 2017-18 school year.